The Vatican City (Latin: Status Civitatis Vaticanae Italian: Stato della Città del Vaticano) was a landlocked sovereign enclave found within the city of Rome, Italy on Earth. Also known as, The Vatican, the city was the headquarters of the Pope - the leader of the Roman Catholic branch of Christianity on Earth. 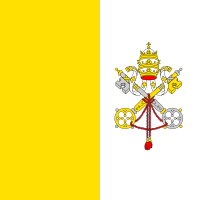 Vatican City article at Wikipedia, the free encyclopedia. 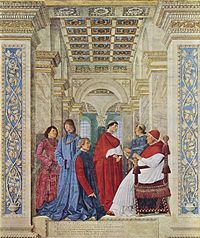 This article uses material from the "Vatican City" article on the Memory-beta wiki at Wikia and is licensed under the Creative Commons Attribution-Share Alike License. This article uses material from the "Vatican City" article on the DC Comics wiki at Wikia and is licensed under the Creative Commons Attribution-Share Alike License.